BRAND NEW ‘RIDE ON NELLY’ JERSEY & CAPS ON SALE NOW! ENTRIES TO 2016 EVENT LIVE NOW! 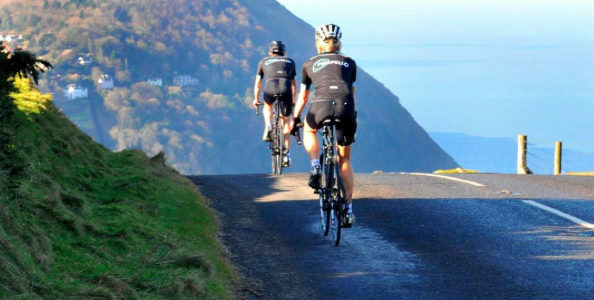 Following the success of Propello’s brilliant 8 week training plan last year, Nelson’s Tour de Test Valley has combined with top cycle trainer Rob Wakefield of Propello again to bring you a brilliant FREE 12 week training plan. This will guarantee you hit the start line in the best possible shape. Rob is a fully qualified Level 3 Cycling Coach and has trained top cyclists including Victoria Pendleton – so you’re in great hands! Before you know it the summer holidays will be with us and Nelson’s Tour de Test Valley will only be a few weeks away. This is a great event so make sure that you get the best out of it with some careful preparation. 1. If you have not ridden for a while get your bike serviced at your local bike shop. Ask them to do a safety check and replace worn brake pads, chain and tyres. 2. Don’t underestimate the challenge. Look at the route and the hills and assess where you are fitness wise. Be realistic. 3. Prepare a plan for getting fit and download our free 8 Week Training Programme to give you the perfect guide to use in your training. 4. Make time in your diary for your training and get support from your partner and families rather than springing it on them. Support from families is an important element in training generally. 5. Try and organise some road rides with friends so that you get used to riding in a group if this is not something you normally do. 6. Keep an eye on your diet if you suddenly up the mileage in training. Try and keep calorie neutral if you want to maintain weight. Remember an hour on the bike can burn up to 1000 calories. That’s at least and extra good quality meal on training days. 7. Remember the more you put into preparation the more you will be able to enjoy the ride on the day.